seeing as people have requested this,here is a reupload. 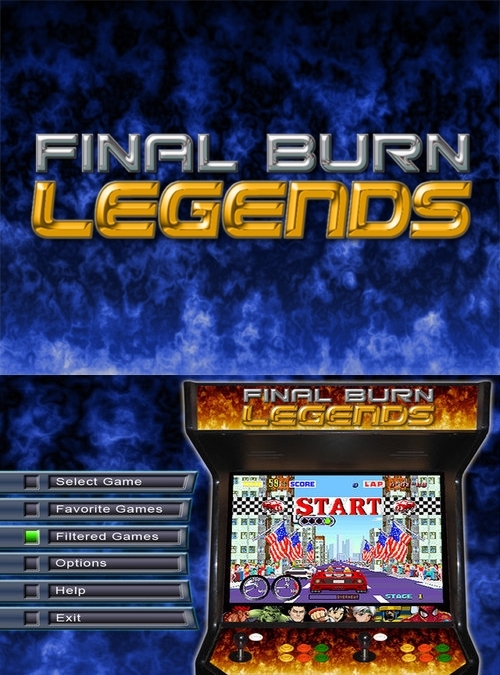 this is a download for final burn legends and a Full romset. here is a download for most of the preview videos. just unrar and put all the files in the folder into your "videos" folder in final burn legends. Hi ive grabbed the 1.23 version of this , but im trying to integrate it into xbmc emustation which uses the command line to launch your emulator , bypassing the menu etc. Problem is, this method leaves you with tonnes of multiples of the same game. Ive looked up rom managers etc and seen your tools section within th eack with the xml etc, but im at a lost as to how i can organise these roms. I want to remove all adult/mature/gambling/mahjong roms, and all duplicates leaving just the usa versions.